There was a new wood-looking floor at the yoga studio tonight (cliche Los Angeles, I know!) and on closer inspection I could tell it was vinyl. It was incredibly made, literally from a photograph of wood, and the pattern didn’t repeat from board to board. There was a grain texture on the top, but the texture did not correspond to the pattern below the way that a tree actually would, from knots and baby branches to saw marks, sanding machines etc. The visual “meaning” of the material was separate from the physical touch, and also separate from the physical reality. This made me realize that the world we live in is full of computer-made things, and it will only be more and more that way as technologies improve. Often instagram posts and catalog pictures are renderings, and soon runway shows will not need models at all. But this is why we are making Star Tile. I think we intuitively felt that things around us were becoming less human, and we responded with a product that uses primitive technology, turning earth and minerals into glass, fusing in an enormous fire. The tiles are not only made by hand, but they are permanent as well, able to last thousands of years. In a world of instant gratification and image-above-all culture, we are deliberately making something that is all substance, literally earthy, grounded. People have made tiles for thousands of years and used them to protect their buildings. That basic human need has never changed – we need homes, places of work, places to gather. At the time of this tremendous shift in the way we live, our impulse is to celebrate our humanity, and permanently decorate the shelters around our fragile living bodies. Media may become virtual, but the roof above our head will never be. 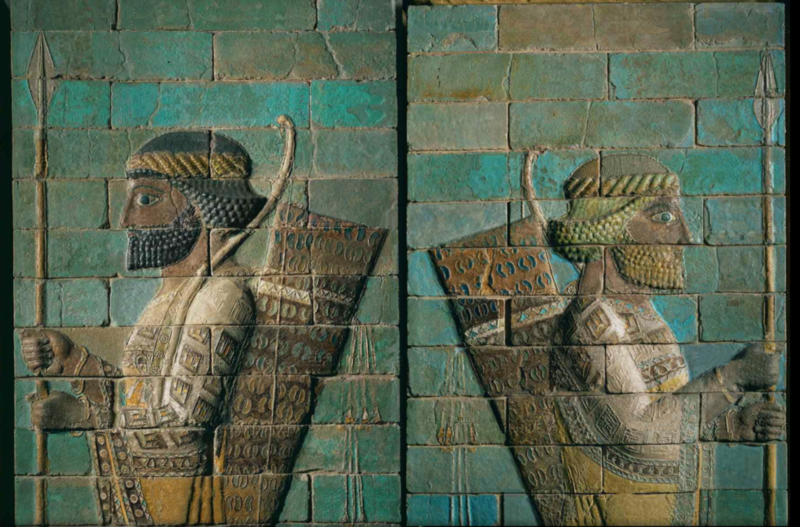 IMAGE: Glazed Bricks at the Palace of Darius 1, Iran 6th Century BC.